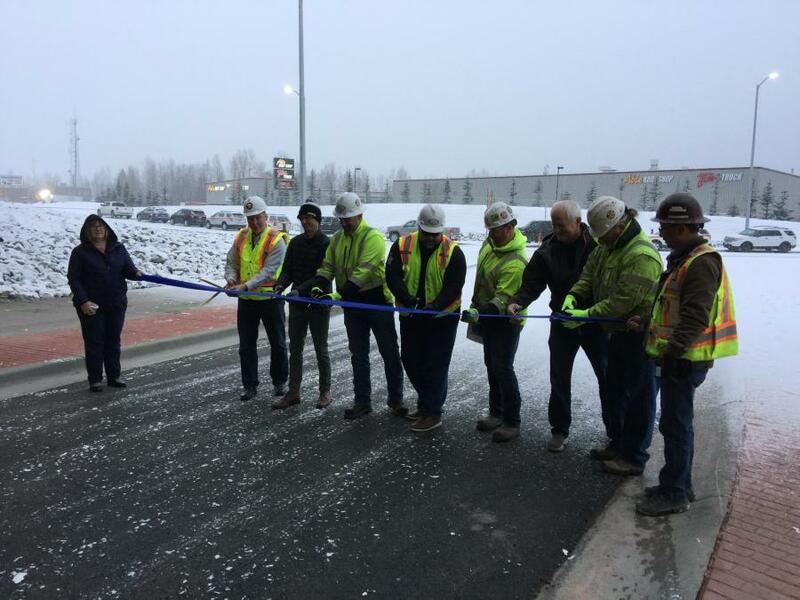 The New Seward Highway: Dimond to Dowling Reconstruction is substantially complete with the opening of a new east-west route under the highway, connecting 76th Avenue and Lore Road. The new underpass allows people in the surrounding neighborhoods to move back and forth in the Dimond area without having to enter the higher speed Seward Highway corridor. The project was constructed to improve the capacity, connectivity and safety of the Seward Highway and surrounding infrastructure between Dimond Boulevard and Dowling Road, including the highway frontage roads and the Dimond and Dowling interchanges. The Seward Highway Dimond to Dowling Reconstruction Project, created a new section of six lane highway; a new overpass; a new connection between 76th and Lore Drive; upgrades to Sandalwood Place road; improved Brayton and Homer frontage roads; and new bike lanes and sidewalks throughout the project area. This project is part of a larger effort to increase capacity, connectivity and safety on the New Seward Highway between 36th Avenue and Rabbit Creek Road. The Alaska Department of Transportation & Public Facilities (DOT&PF) and contractor, Quality Asphalt Paving (QAP), committed to an aggressive schedule in order to minimize traveler inconvenience. The project initially moved mainline traffic onto frontage roads and then once the new six lane section was open, Homer and Brayton were closed for extensive work. The majority of the $55.9 million project is now complete, however, some remaining items, including permanent pavement markings will be wrapped up next summer during warmer weather.